← Oven Mitt by Linda! This Month’s Freebie and New Peggin’ Pages! Ribbon Knit Handbag...Fabric Strip Version! 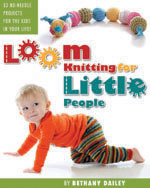 This entry was posted in Free Loom Patterns, Loom Knitting, Looming Patterns, Peggin' Pages, Project Preview. Bookmark the permalink. 4 Responses to This Month’s Freebie and New Peggin’ Pages! Thanks for the “Tarn” video. I grabbed some knit night gowns on clearance a while back (like $3.00 each). This would be great for making something out of them. I’m thinking a nice thick blanket. I just love this! I am going to make one to hang on my saddle for putting my chapstick and such in when riding. Thanks so much! !